As this letter is being written, it is the last night for Salt Spring Community Service’s Extreme Weather Shelter. As of April 1 the users of the shelter will have to find space in the bushes and in the parks. Several concerned citizens (many of whom are members of local churches) are attempting to put together a coalition that will secure and renovate the Salt Spring Metal Recycling site at 251 Fulford-Ganges Rd. for use as a friendly space and year-round shelter for people who are living in the rough. We have yet to put in an offer. We do not have the cash at hand nor has a not-for-profit yet agreed to take ownership of the property. • Recruit a working coalition who have local contacts and experience in project developments. • Gather conditional pledges equal to the asking price for the property, $800,000. Funds raised over the final purchase price will go toward the rehabilitation of the property and associated costs. • Identify the not-for-profit that is interested in taking possession of the property for our intended use. • Write a business plan that will identify the real estate development and future operating costs, along with the sources of funding. • Once the conditional pledges are deemed substantial we will negotiate a purchase contract. The contract will have to be for “asking price or appraised value, whichever is less.” When we use public funds the price always has to be limited by appraised value. As the conditions of the sale are being met, the pledgers will be asked to fund their pledges in accounts held temporarily by churches and other non-profit agencies who can legally manage such funds and issue tax-deductible donation receipts. After the sale closes, the property will be renovated for its new use. There are of course issues of zoning, water and sewer connections. A cursory investigation gives us hope that these issues can be solved. The site has a three-quarter-inch water supply, there is a possibility of connecting to the public sewer system and the site is zoned for industrial use. 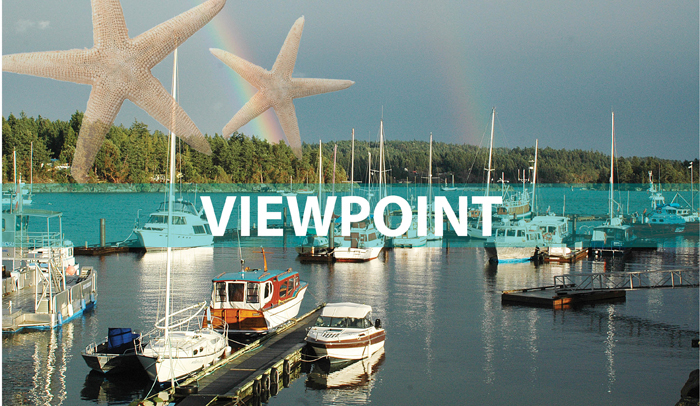 We are convinced that it is possible to raise the funds we need on Salt Spring Island. An hour after we casually proposed the project to one group we had over $40,000 in pledges. This is a project whose time has come. If you are interested in making a conditional pledge, or volunteering for the coalition, please email chas.belknap@gmail.com. At this time we are collecting pledges for $1,000 or more.